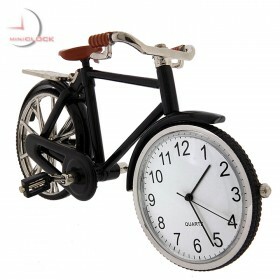 A fantastic gift for any mountain bike enthusiast. 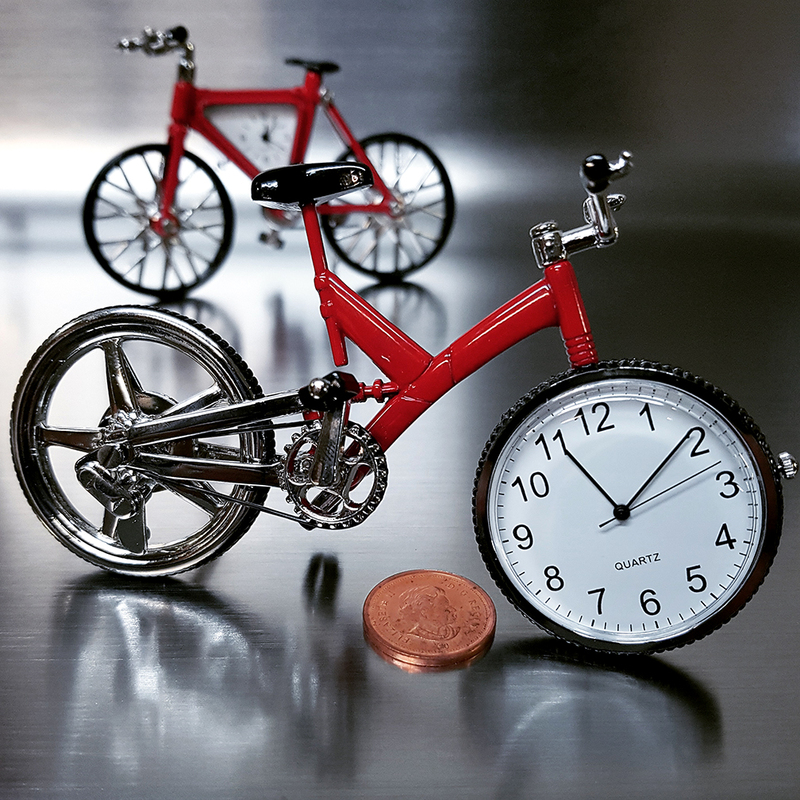 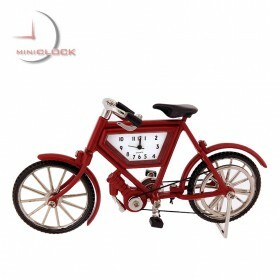 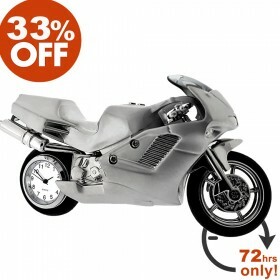 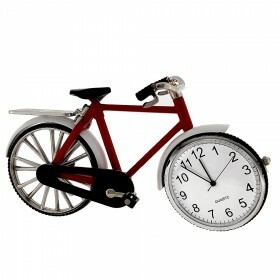 This awesome mini clock mountain bike has pedals & back wheel that can turn! 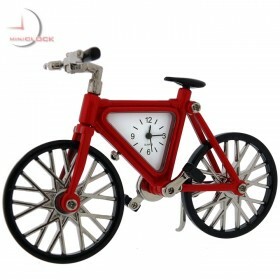 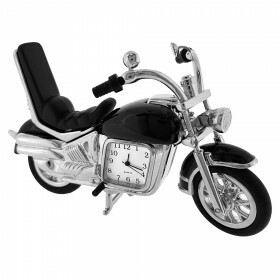 Cast in sturdy metal with red enamel finish and black & silver accents; featuring a quality tiny quartz clock displayed in the front wheel.